Kaitiaki is a guardian in the Moari tradition from New Zealand. She is a guardian of the divine feminine. She represents the sacred divine relationship with Mother Earth. She speaks to the rhythm of our own sense of timing. Within Moari tradition, we, as humans, are part of the natural world and hold the sacred role to protect and preserve. Irene Ammar is a ritualist and herbalist whose work focuses on bringing people into direct relationships with the healthy roots of their ancestors. She especially loves working with lineage repair around babies and parenting, and bringing the ancestors on board as a source of insight and support for us as we become parents. Her people are from Old Europe, and she takes seriously the need to safely engage with collective harms so that the tides can turn toward health in all of our families and communities. 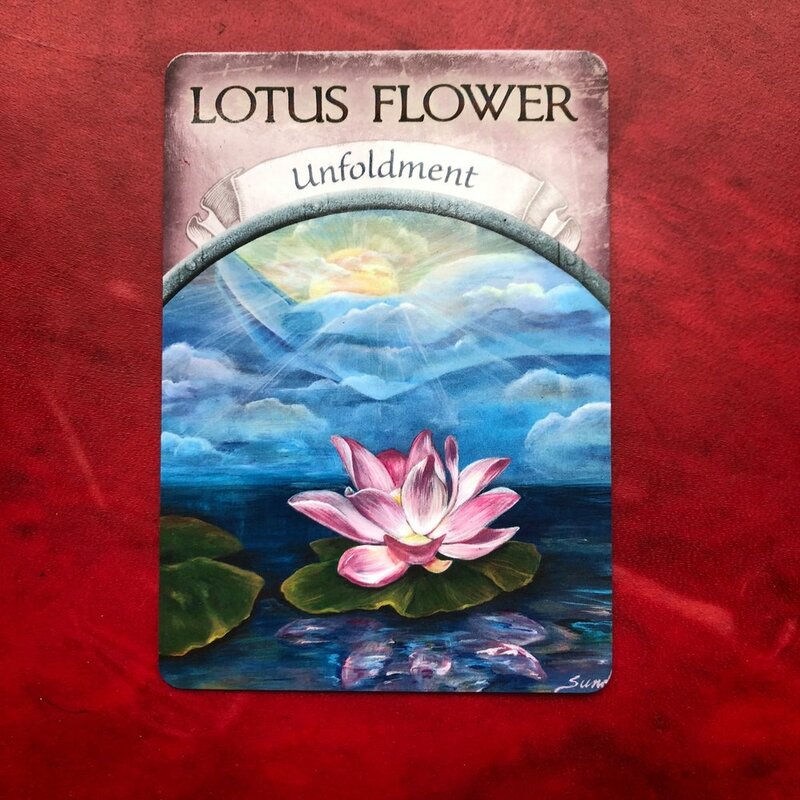 Lotus is one of my favorites because the roots are really rooted in the mud and muck. Then the flower opens up anew every day to gather all that is meant for it. In the evening as the sun goes down that flower closes. It gives itself time to rest and properly integrate. It mirrors the spiritual path, the natural enfoldment and the surrender to without forcing. 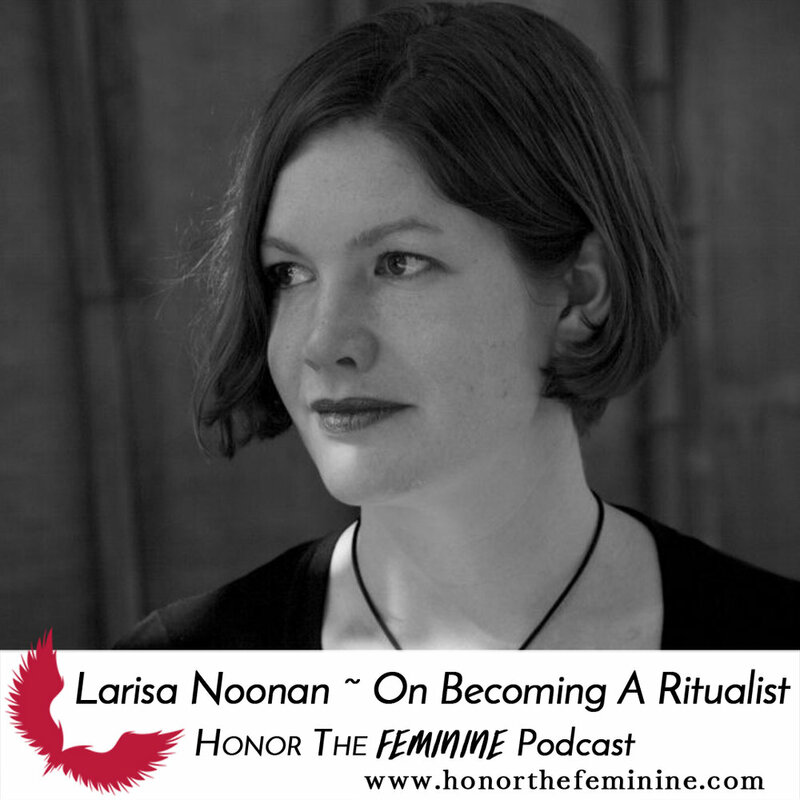 Larisa Noonan is an Ancestral Lineage Healing Practitioner who has specialized for nearly two decades in trauma healing, embodiment skills, and supporting healthy boundaries. 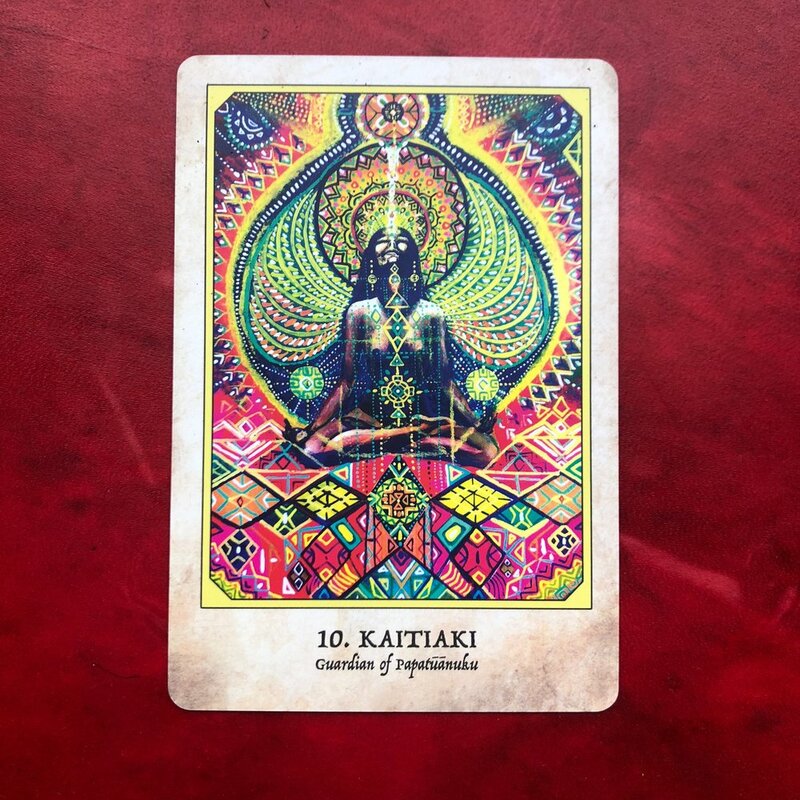 She weaves ritual and nature connection into all of her offerings and is passionate about supporting grief and loss, recovery from religious fundamentalism, and those with chronic pain/illness. She lives with her husband and son in Oregon on the ancestral homelands of the Kalapuya people. Her ancestors are from France, the Netherlands via Ukraine, Germany, and Switzerland and her work/life is rooted in earth-honoring ritual, embodying ancestral gifts, and reclaiming animist values. She bathes you in divine feminine light. Invites you to come into balance & practice peace, harmony & cooperation. She has woven in with her the energy of the full moon & this preparation for a more golden age where the feminine and masculine are more harmonized. This is stepping into a more divine dance and balance together. Seyta Selter is a certified practitioner of ancestral lineage healing, and also practices depth psychology (embodied dreamwork and hypnotherapy) and spiritual counseling in Olympia, WA and online. has an MA in East-West Psychology, is an adjunct faculty of dream psychology and consciousness studies at the Evergreen State College, and is also Dr. Daniel Foor’s assistant, managing Ancestral Medicine development. Her ancestors hail from New York, Illinois, and Tennessee, the Jewish diaspora, continental Europe, and the British Isles. She enjoys working with folks new to trance modalities and believes that relating with the unseen is a natural, enriching aspect of human experience. She is currently focusing on teaching, supporting Ancestral Medicine, and developing NORD (the Non-Ordinary Reality Database), a public science website serving as the Google for the collective unconscious with journaling, indexing, analysis, and community features around subjective experiences with the inner senses. For more info see: www.innerlands.org and www.nordcommons.org. The waterfull brings gracefulness & powerfulness. It speaks to flowing around that which would otherwise impede. It further speaks to the carving the landscape over time. Finding even ease at the edge of your comfort zone rather than struggle. Lindsay Sudeikis is an educator-activist in the practice of wonder and is based in New York. She is also a former Catholic nun, a current lover of humanity and all that is, and an aspiring mystic and improvisor. This card brings the messaging around seeing Mother Mary’s light, her love & grace through the darkness. The understanding of the purpose of our past suffering. Light is then shone on the paradox around truly opening to life means being willing to die many deaths long before the death of our human bodies. I honor my ancestors, the blood & bone that came before me and continues to live on within me & my daughter. Ancestral Healing Session with Shannon are now available. This is a message of death & letting go as part of the continual cycle of rebirth. It is a reminder that all of the at our disposal in this lifetime is on loan to us and it is our responsibility to transform it in the most positive and beautiful way possible throughout our existence. Know that birth here is death in the land of your ancestors and death here is a birth into the land of your ancestors. Shauna is dedicated to bringing the sacred and the community back to healing. She embodies the archetypal gifts of healer, teacher and priestess, with a commitment to reclaiming healthy grief-tending and holistic and ritual practices for well-being. She believes everyone has the birthright and ability to connect with their own ancestral wisdom, and that both grief healing and ancestral connection are pathways into deepening our sense of belonging, within ourselves, between each other, and with the more-than-human world. Shauna provides healing support to individuals and families navigating loss/change, facilitates trauma-informed training and group process, leads community grief rituals, and guides ancestral repair and connection work. She is also an award nominated singer-songwriter who finds music a soulful expression of her ancestral inheritance. On the podcast, Gaia for Earth Connection brought us home to the idea that our connection to our Earth is the connection to ourselves & to our ancestors. Also, a beautiful reminder to stay grounded. As chaos swirls around us our rooted nature will be our survival of the storm. Jenn Bradshaw Almond is the Modern Woman’s Guide to Sacred Wisdom who supports women at a crossroad in their business to create healthy energetic boundaries in their life so they can be seen and heard in their brilliance. As a Astrologer and Energy Healing Coach, her passion for understanding and balancing the physical, emotional and spiritual bodies, was derived from her own journey. She has a vast resume of healing modalities to include: Certified Flower Essence Practitioner from the school of Woman Rising, Certified Wholistic Kinesiologist (TM), Certified Holistic Health Coach from the Institute of Integrative Nutrition and more. On the podcast, the Dark Blue Galactic Dragon brought the message of listening to the voice of the universe & accessing cosmic wisdom. This 9th dimension dragon harnesses the light of the stars, planets & constellations. This dragon's light can ignite hidden codes of your master blueprint. This is an invitation to communicate with the masters of the universe ~ the Intergalactic Council.